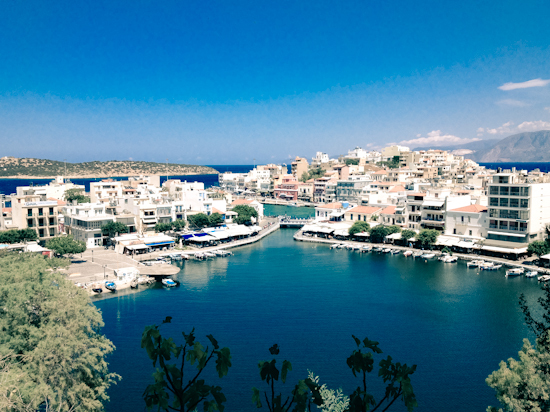 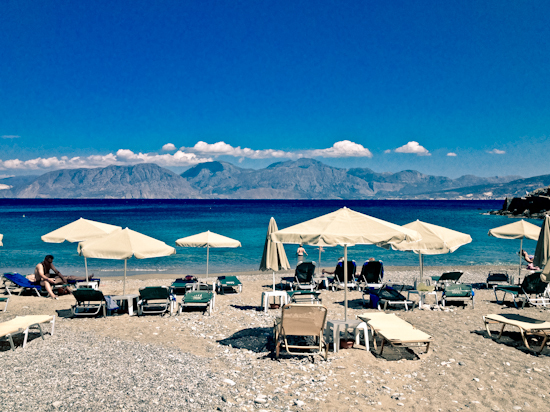 I recently visited Crete and fell in love with the pebble stone beaches, the constant sunshine, and the abundance of grilled seafood and antipastos. 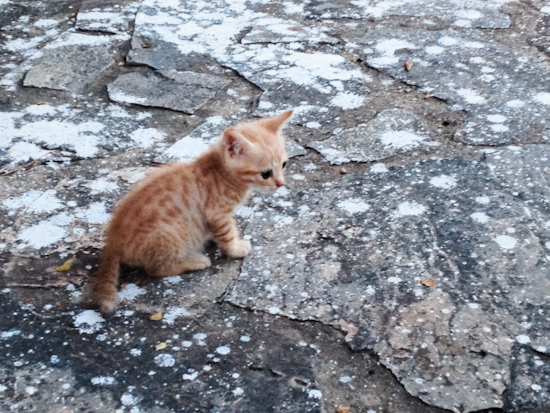 But one thing that really got my attention was the numerous amount of cats scattered throughout the city. 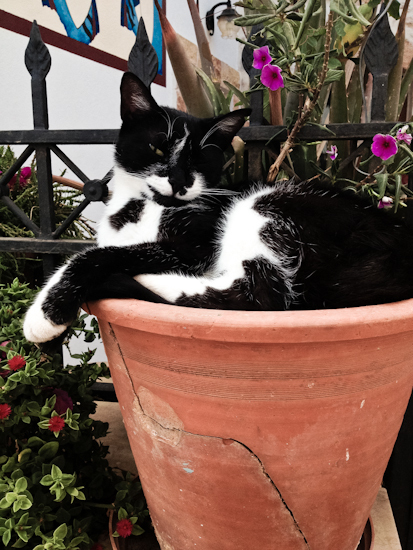 You would see cats pretty much everywhere you went, even in flower pots. 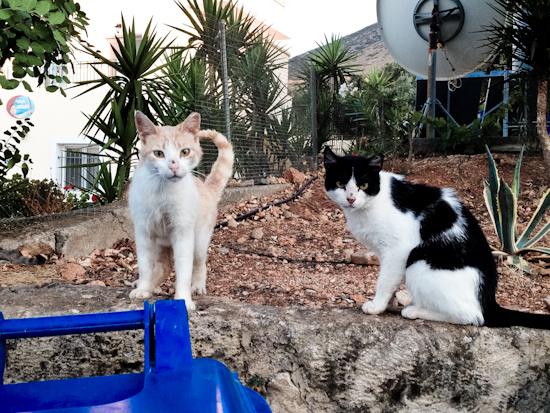 The great thing is that Cretans seem to be cat-lovers. 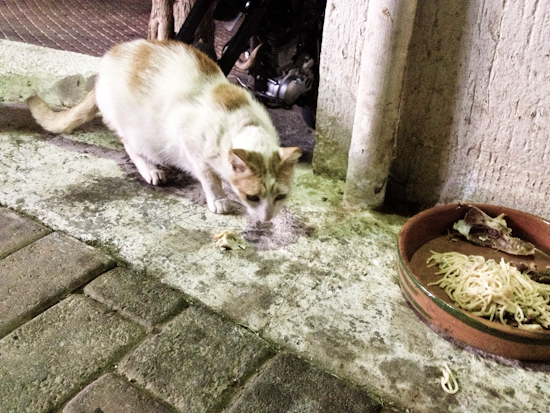 Although a lot of the felines are stray cats, most of them are being taken care of with scraps of food from residents and neighboring restaurants. 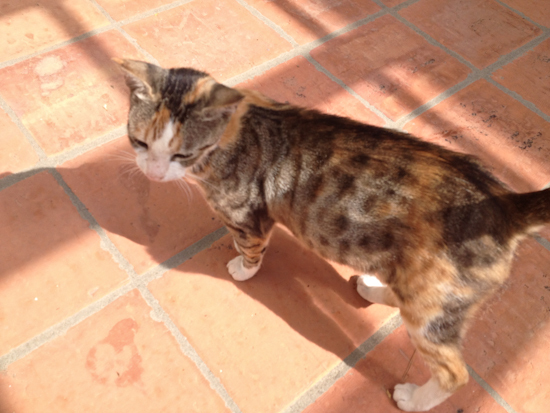 During my stay in Chersonissos, a friendly pregnant cat would greet us every day in front of our villa. 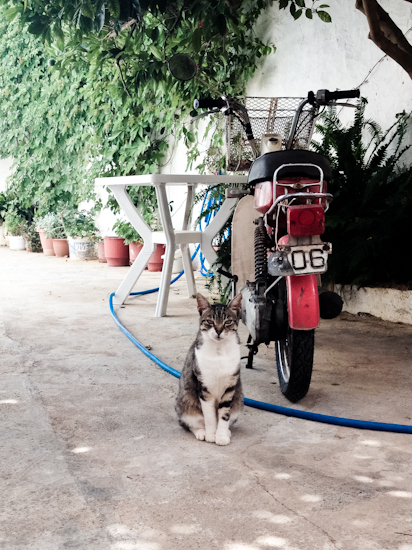 If I had a million dollars right now I would buy a large farm property in Crete and fill it with cats, olive trees, and fig trees. 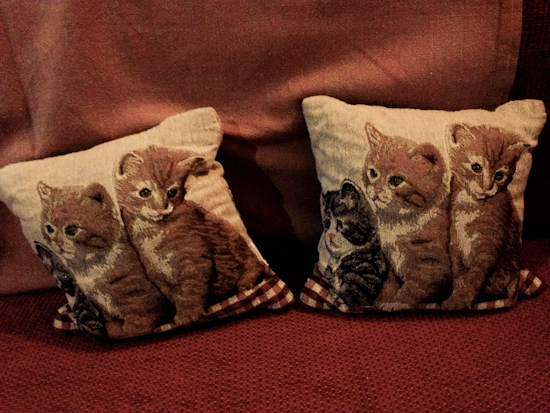 Oh, and definitely decorate the home with those cheesy embroidered cushions. 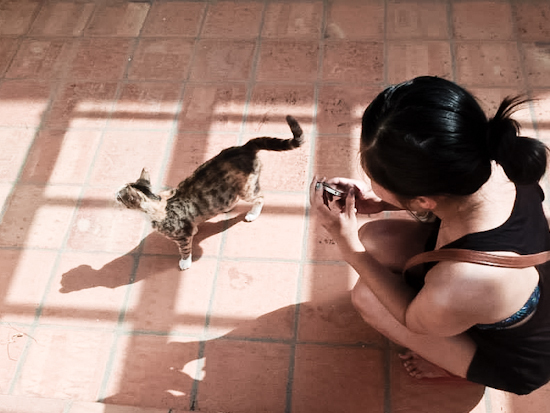 Ah, that would the dream of a cat lady.